3,000+ Feet of Spectacular Oceanfront "Cobscook Reach": Rare, deep water frontage with privacy. Crowning a peninsula with rolling meadows and beaches. Residential or commercial development potential. Infrastructure in place, surveyed and soils tested. 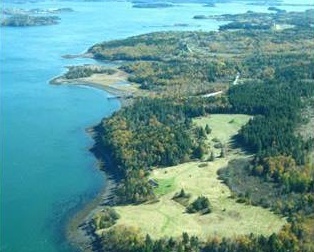 Cobscook Reach (MLS #991908) is a lot/land listing located in Lubec, ME. This is a lot/land listing with a lot of 2,352,240 sqft (or 54.00 acres). This property was listed on 12/07/2018 and has been priced for sale at $2,500,000. Nearby zip codes are 04628, 04667 and 04691. This property neighbors other cities such as Perry, Trescott Twp and Whiting. Listing Last updated 03/21/2019 10:30 AM CDT . Some properties which appear for sale on this web site may subsequently have sold or may no longer be available. Walk Score provided by Walk Score. Mapping data provided by Google and Bing.